War is a messy business. Yet, still I honour the sincerity that men and women of past present laid their lives down on the lines. We still hold the naive belief that war will bring peace. 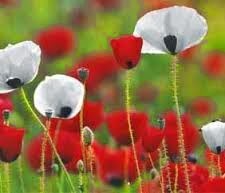 I also honour those who have given their lives, both literally and figuratively, for peace. We all know what happens when we let our beliefs define and divide us. Let us collectively, in a spirit of celebrating all life, come together and seek solutions. I offer this from what I call the "Olden Days Words"
I bought myself a rose yesterday. Soon my rose will suffer the same fate. Age and time will take its toll. She weeps like there is no tomorrow. She is not asking for liberation. She is only asking for the life of her child. Say it is the price of freedom. Until all its petals have fallen.